ROME -- Just like in Italy, in Germany, France, the US, the UK and elsewhere, voters are at loggerheads, and the loyalty to those old political parties that helped to weld people together show disarray, when not simply wiped off the chalkboard. As a result, ever since last Sunday, when huge and enthusiastic crowds turned out for Partito Democratico (PD) rallies in Milan and Rome, center-leftists have been crowing. They point out, in addition, that the crowds were often of young people with no memory of the political Italy of four decades back, characterized by old-line political parties. Still, the fact is that political allegiances have shifted from the party to the personal, and this makes of particular interest a brand new poll conducted by the reputable Demos & Pi and Demetra. All told, between Sept. 11-13 over 8,400 people age 18 and older were asked which politicians. they preferred. The result: the single most popular political leader in the entire country, with a stunning 65% of admirers, is Sergio Mattarella, 77, president of Italy since 2015. Few of his predecessors have achieved this degree of popularity, which analysts here are attributing to his "prudently presidential" style. 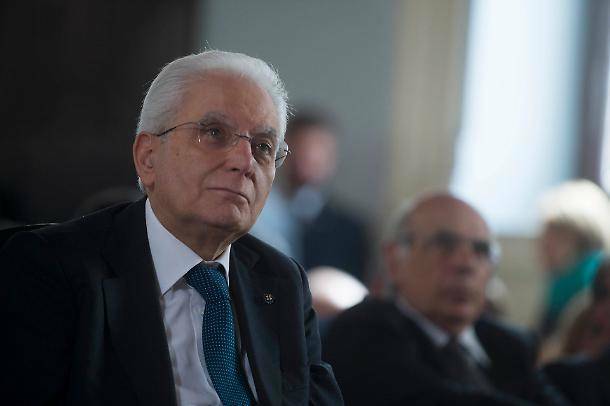 The popularity of even the respected Giorgio Napolitano, Mattarella's predecessor, had sunk to 39% after his first three years in office, according to an Ixè poll reported on Rai 3. Trailing behind by only four points, is, perhaps surprisingly, Premier Giuseppe Conte. 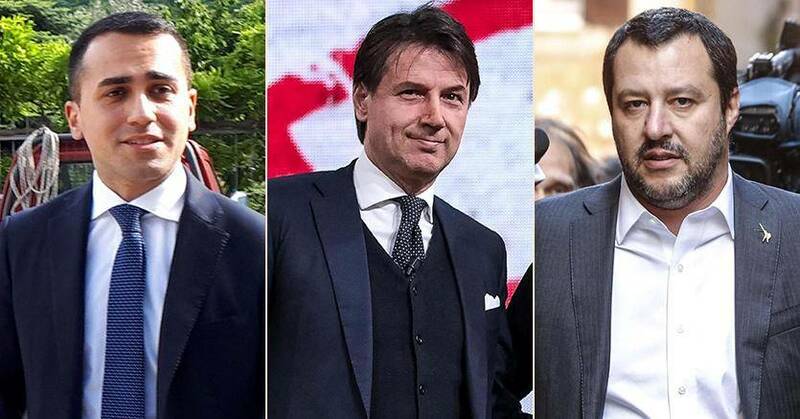 Despite being caught in a squeeze while mediating between the sometimes quarreling (and ever rival) deputy prime ministers, Matteo Salvini of the Lega and Luigi Di Maio of the Movimento 5 Stelle (M5S), Premier Conte is today Italy's second most popular politician. Salvini himself is favored by 60% of those interviewed and Di Maio, who once called for Mattarella to be impeached, by 57%. While these poll results are not predictors of a theoretical national vote, they are important because personalism has replaced old-fashioned party loyalty. 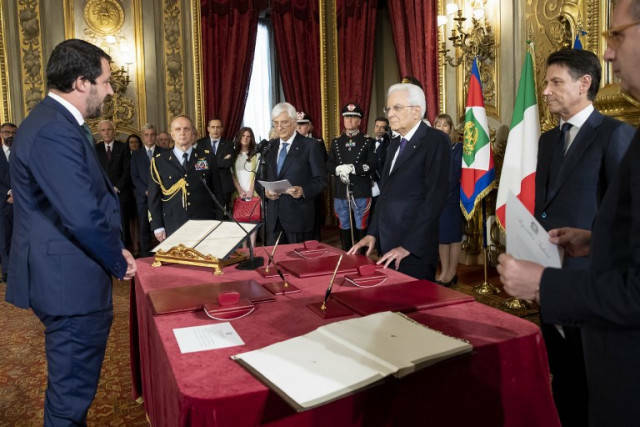 So who is President Mattarella? Born in Palermo in 1941, he was graduated summa con laude from La Sapienza university of Rome with a law degree. He taught parliamentary law at the University of Palermo until 1983, when he was elected on the Christian Democratic party ticket to the Chamber of Deputies, where he served until 2008. Throughout those years he was an activist in the Catholic social movement, which advocated reform. He also published widely on constitutional law, particularly as applied to the Sicilian Region. His official biography fails to mention the single most crucial event in his life: the assassination of his older brother, the Christian Democratic Piersanti Mattarella. On Jan. 6, 1980, while in his car en route to mass with his wife and children, Piersanti was murdered. Initially the assassination was attributed to neo-Fascist terrorists, but has long since been recognized as revenge for his battle against the links forged between Sicilian politicians and Cosa Nostra. 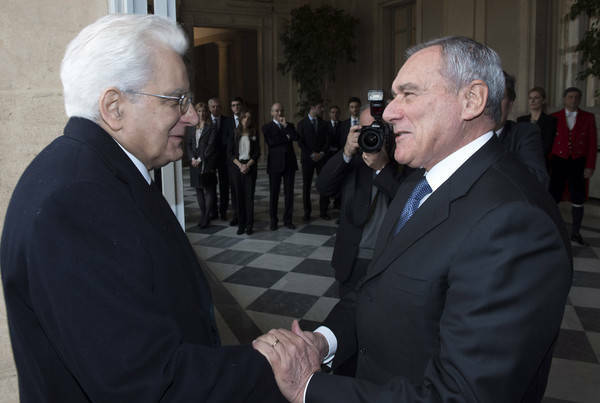 The Jesuit educated Mattarella had set out to bring a halt to the racket over profitable public works contracts. His aim was to pass a law requiring serious building standards similar to those in the North.
" [Piersanti's] policy of the radical moralization of public life, based on the idea that Sicily needed to present itself with its 'papers in order', had upset the system of public procurement. His stunning moves were never before seen in the Island," according to Piero Grasso, former Anti-Mafia prosecutor who served as president of the Senate from 2013 through March 2018. He is credited with helping to block the right-wing economist Paolo Savona's becoming Finance Minister, promoted by both Salvini and the M5S; Savona despises the European Union and promotes Italy's leaving the EU common currency. Mattarella also -- as usual, quietly and calmly -- criticized Salvini's policies against migrants,. These are the policies that left the ship Diciotti, with over 144 rescued migrants aboard, stalled in a Sicilian port for 10 days as Interior Minister Salvini refused to allow them to land. This being a violation of human rights, in what amounted to a reproach to Salvini, three weeks ago Mattarella said pointedly in Parliament that, "No citizen is above the law." Palermo prosecutors accuse Salvini of "illegally confining" the migrants.